Artist-centric practices have continued to normalize as a dominant way of working in response to economic necessity, socially-aware apertures and numerous other factors. 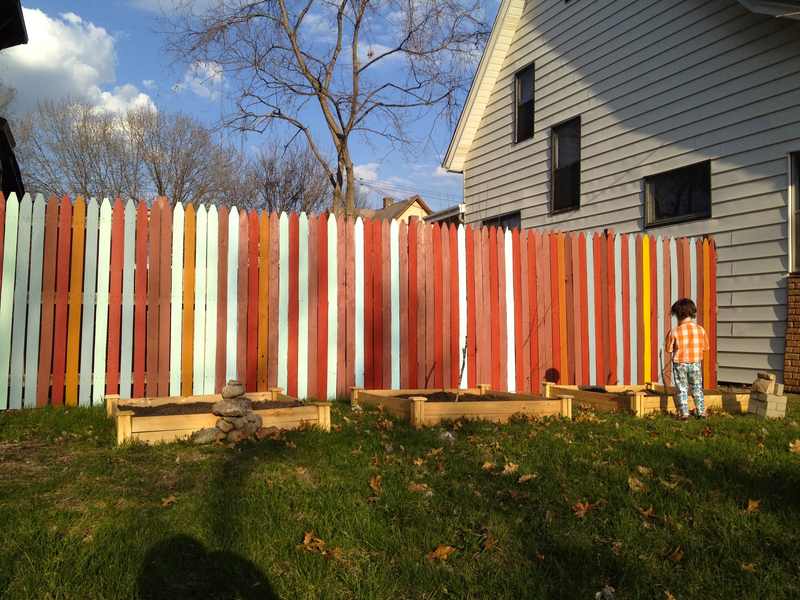 Hand-in-Glove has been a formative platform for gathering in this emergent field since its first iteration, organized by Threewalls in Chicago in 2011. Now, paired with the launch of the nascent Common Field network, it is arriving at a pivotal moment for the field more broadly. Questions of the sustainability of this notoriously precarious activity, paired with latent institutionalization and professionalization within the field, are more pressing than ever as practitioners gather to consider the paradigms and platforms through which we engage. Hand-in-Glove, in its own words, is “an itinerant gathering created by and for the practitioners in the field of alternative art spaces, projects and organizations” that “will investigate the contexts and conditions of artist-led culture across the country.” As perhaps the only national gathering consistently focusing on the field of alternative art spaces, projects and organizations, the evolution of Hand-in-Glove also acts as a speculative narrative about the arc of this practice. It is “by and for” the field, offering an opportunity for necessary self-assessment about both its current dynamics and future shape. The field, such as it is – this artist-centered, alternative terrain – is formalizing. It is inscribed in institutions mobilizing down and taking on more flexible forms, as well as small scale organizations organizing through networks of support. The field is also continually shifting – projects redirecting or shuttering, organizers moving and leaving their positions, questions of sustainability, growth, equity and access always on a precipice. Hand-in-Glove is a meeting point for these complex dynamics, offering a moment of reflection on both its own development since 2011 as well as the evolutions around artist-centric practice over the past several years. 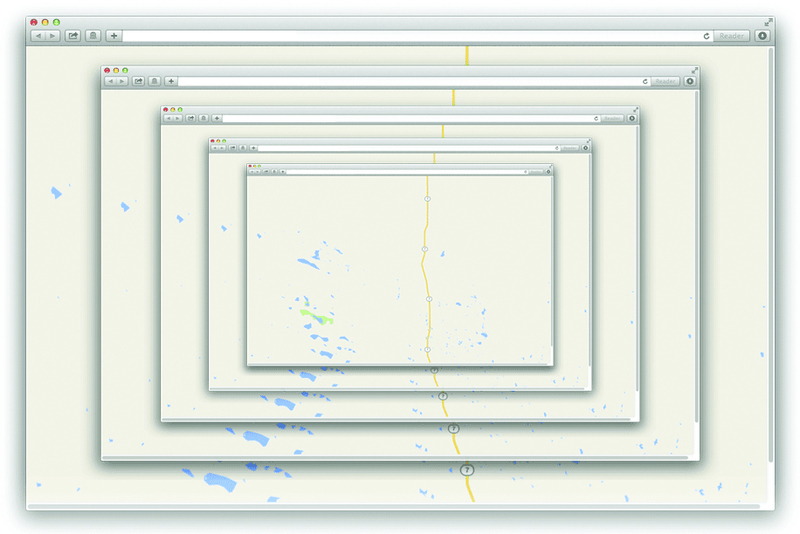 Over the next six weeks, Temporary Art Review, mnartists.org and Common Field are embarking on a social response on Hand-in-Glove featuring framing texts on the convening, commissioned essays, and critical responses to this year’s convening on September 17th through 20th in the Twin Cities. As with previous social responses, the continually updating text is meant to sustain an inclusive, insightful dialogue across multiple platforms, the form of the response mirroring its subject through the perspectives of the organizers, practitioners, participants and critics. Through this process, we attempt to open a porous space in which we ask these questions back to ourselves: What is our common field of practice and how do we advance it? What are models of growth that don’t use the mechanisms of institutionalization? Can we articulate our position of artist-centricity in tangible terms? Are we successfully embodying the kind of art world we wish to see more broadly? The text will be updated weekly here, with complimentary pieces published on mnartists.org, and on social media using the hashtag #HIG2015. We welcome unsolicited responses, either through the comments here or submitted to james@temporaryartreview.com in the hopes of opening the dialogue further. Our common field is practice: the everyday doing of art that links us beyond the boundaries built by credentials, guarded by reputations and relationships, and buttressed by financial rewards. We can realign our vision and our metrics to focus on artistic practice rather than on identities or objects; in doing so, we reimagine the field of art as well as its actors. When I say artists, I don’t mean you and your friends. I didn’t really know that, not in my bones, until I became a quote-unquote scientist, until I sat down for a year or two and puzzled out what, exactly, I meant when I said ‘artist’ – and, more importantly, what I wanted to mean, what world I imagined when I conjured these artists. For the past few years, I’ve defined ‘artists’ for my own purposes with a proxy for artistic practice: the exhibition of artworks in public. I’ve drawn on rosters I constructed from the kinds of places where we encounter artworks: diverse presenting institutions that include galleries and museums, to be sure, but also cafes, studio crawls, churches, city streets. As I spoke with artists all over the country and spent time in art communities very unlike the ones I was once at home in – including many that I would not have previously recognized as legitimate art communities at all – I saw very quickly how narrow and specific my own experience had been. Some artists I knew before I began this new research have been surprised at my project; “but I haven’t seen you around that much.” They often have real difficulty imagining an art world beyond their own, or at least imagining any that might matter beyond their own; I hear this sort of comment primarily from artists that are embedded in the “high” contemporary art world, who assume that research on the arts is neither plausible nor interesting and certainly of limited value without a chapter on Documenta and another on Jeffrey Deitch. The art market is not our problem. It heaves and sighs even in our absence; leave it to its calisthenics. Institutionalization is not our problem, as should be evident when such a broad and vibrant array of institutions as will be represented at Hand-in-Glove this week is available for our perusal, enjoyment, use. Many artistic practices depend on and exploit institutional forms and structures – if anything, we rely far too heavily on the nonprofit, artist-run form, when others are ripe for the picking. Practices best expressed via other structures – the corporation, the political party, the cooperative – are neither as well developed as they could be nor as visible to those scanning the horizon for artists as they ought to be. If there is a problem, it is us: the limits of our imagination and our words, our ever-refined distinctions that serve our connoisseurship but not our communities. Artistic practice is our common field – the everyday, often dull, rarely visible and seldom interesting doing of art. A focus on such practice – rather than on more common objects of inquiry such as artworks or artists – reorients our map of the field, orients it around the doing of art. Any institution that aims for inclusion, for diversity, or for representation would do well to consider the place of practice in its vision of contemporary art. Illustration by Emmet Byrne (for Mn Artists and Walker Art Center) from “Burn the Maps” by Matthew Fluharty. To prepare for the Hand in Glove convening this week, we’ve been reading up, compiling resources and links to landmark articles in this burgeoning field. Below, you’ll find a selection of suggested articles and essays, notable web resources and books, that might help us navigate as we get the lay of the land for this emerging common field. Art Practical’s double-issue on “Valuing Labor in the Arts,” includes a wide-ranging assortment of essays – from writers working in economics, sociology, art history, performance studies, dance, film studies, and literature – which explore the intersections of art, activism, artistic service, compensation and labor. WHERE HAVE WE COME FROM, AND WHERE ARE WE HEADED? This is an excerpt of Mn Artist’s recommended readings. Please read the full list here. 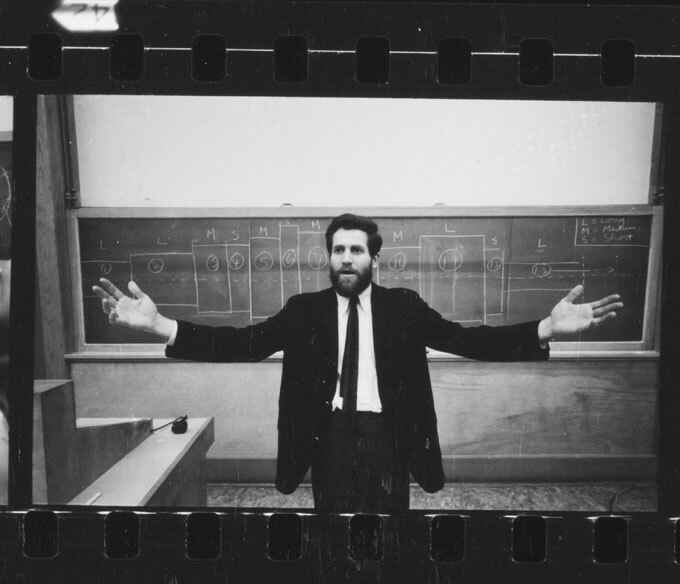 Allan Kaprow, Kaprow explaining “Household.” Allan Kaprow Papers, © Research Library, The Getty Research Institute, Los Angeles. As artists professionalize, what’s lost — and what’s gained? The immediate answer that comes to mind is another question, or a reframing of the question ­– who loses what? who gains what? The other thing that comes immediately to mind is the Hand-in-Glove panel title in the form of a question, “Art Works?,” but in accepting as a premise the notion of art as “work” we are mostly left to inquire about bathroom breaks, invoices, wages, and other chestnuts of the professional, the functionary. In this sense the answer is clear – ­the professional gains (who) within the system of rewards (what) established by the common field of professionals ­ instrumental rationality. “Art is a way of life” is a simple statement of short and familiar words. It expresses a way of looking at life that is very old in the history of thought. If it now seems strange it is because we have permitted art to become divorced from the ordinary activities in which men [sic] engage and its cultivation to drift into the hand of specialists from whom the mass of mankind is separated as by a chasm. In recent times this chasm has become very broad and very deep. To men [sic] absorbed in the work of the world artists appear to be a cult and their work and conversation seem esoteric and almost mystical. To artists ordinary folks appear ignorant and unappreciative, and very often their thinly veiled contempt for plebeian tastes has led them to caustic expression. This dissociation is artificial; it is injurious to art and impoverishes life. At the moment when Vera took the stage Portland had yet to become the far western borderlands of Brooklyn. And, while even then highly critiqueable, her prediction seemed rosey and democratically optimistic. But what she didn’t work into her equation as she envisioned our shared future was that it was not 1971 and the world, the economy, and the political landscape as experienced at the grassroots, was startlingly different and would get drastically – devastatingly – different still. Likely with all good intention, the rallying cry from the mayor was that Portland, a town nearly infested with artists, was to thrive on the energy our creative economy. This is an excerpt of Sam Gould’s response. Please read the full essay here. That notion of making work to share, somehow, with others in a public sphere seems to me crucial. After all, the soul of art lives not primarily in the act of a work’s creation, but in the dynamic, conversational space where two minds meet in the experience of it. It doesn’t matter if that work is presented in a gallery or on a stage or in a derelict city lot; what matters are the stories we tell each other about what we see there, the human labor of the making and sharing of it for that purpose. Art so made and presented for others’ consideration amounts to a kind of blind query, a call from one mind to others like it. And that call is what good arts criticism answers – it’s a completion of the work, in a sense, accepting the artist’s invitation to look, to argue, to parse meaning or mystery, to find affinity there, or not. This is an excerpt of Susannah Schouweiler’s response. Please read the full essay here. Camille Erickson reports back from Hand in Glove 2015, and wonders: Why not unpack the assumptions behind holding a “common field” as our goal? Perhaps a convening such as this would be better served to leave aside the question of finding a “we,” if that “we” risks invalidating others’ lived and individual experiences. Instead, we could commit to speaking from what we know to be our own truths and find understanding as well as empathy in that space of sharing. This is an excerpt of Camille Erickson‘s response. Please read the full essay here. 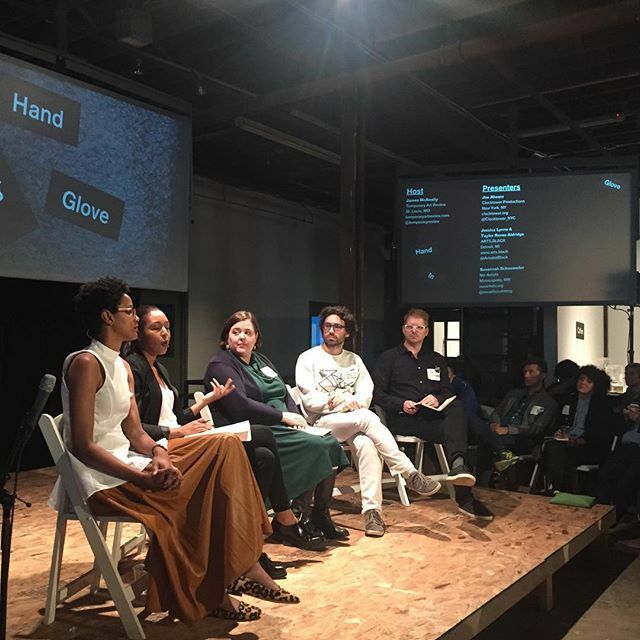 Emily Gastineau recaps a conversation on “Place, Race, Geography and Power” at the recent Hand in Glove conference and asks: For white-led organizations, how does your consumption of resources, your cultural voice impede someone else’s sovereignty? At the panel titled “Place, Race, Geography, and Power” at this weekend’s Hand-in-Glove conference, the panelists and audience wrestled with the concept of ownership: its personal significance and its historical violence. Responding to moderator Chaun Webster’s prompt to discuss “defying colonial scripts”, Shawn(ta) Smith-Cruz spoke about her desire to own her own home in New York City. She stressed the practical and symbolic importance of ownership as a person of color because it greatly reduces the likelihood that she will be displaced by gentrification or discriminatory housing policies. Fellow panelist Dylan Miner, a Wiisaakodewinini (Métis) artist, activist and scholar, then weighed in on the overarching concept of ownership, proposing that the very idea of private property is violence. The panelists and the crowd fell on both sides of this fundamental question: Webster stressed the power of ownership for people whose ancestors did not own their own bodies, while an audience member argued that ownership seems like a band-aid on a huge wound, and racist laws can still result in the seizure of property. Webster agreed that ownership is “a strategy, not a solution”: a temporary, tactical move to reclaim power in the present, rather than a means to take down the system itself. This is an excerpt of Emily Gastineau‘s response. Please read the full essay here. Shanai Matteson, co-director (with Colin Kloecker) of Works Progress and one of the lead organizers of Hand-in-Glove 2015, shares her immediate reflection on this past weekend’s events and the importance of considering what’s really at stake – in our art and in our lives. As one of the lead organizers of Hand-in-Glove 2015, my first impulse is try to write something for this social response about what I think the process of creating this convening might have to do with the (still indefinite) field of artist spaces and projects. If I did, I would look to the complex, challenging, productive questions that came to the surface through conversation among participants. But I’m not going to do that right now. And I might not do that later, because after Hand-in-Glove, I’m even more uncertain than ever that this is my role. And because I’m very tired. 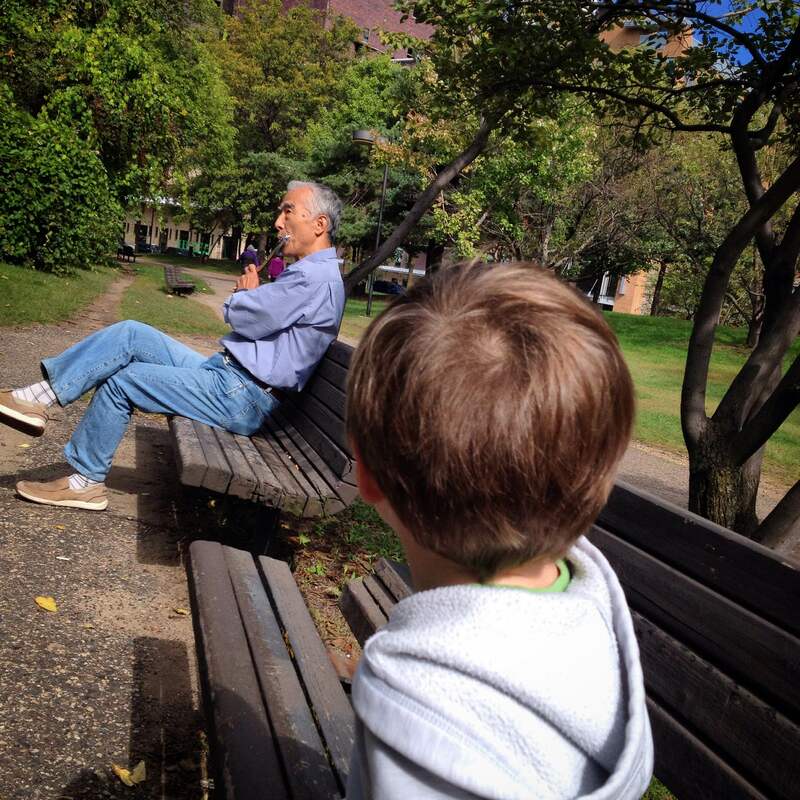 What I do want to write about now is my family. In the session on “Aesthetics, Relevancy and Social Context,” Tricia Khutoretsky of Minneapolis-based gallery and social space Public Functionary reminded us in a very candid and vulnerable moment that this field is not trendy. Real lives are at stake, and to acknowledge that fact means we now have a responsibility to act with intention and care. Though Tricia was very intentionally talking about lives lost to racialized violence, she also mentioned the importance of self care, and the importance of caring for each other in a community of practice, especially at a time when any number of things is pressing us to behave otherwise. I’d like to build on what Tricia said, but in another direction, and hopefully bring into this social response other conversations that I had during Hand-in-Glove that were meaningful to me on very personal level. First, I want to share my notes from the final session that took place on Sunday. This session, an open space for discussions generated by participants about the future of our artistic and organizing field, was facilitated skillfully by Katie Hargrave. The problem is that I still don’t have any notes. I didn’t get a chance to attend any of the small group conversations, much less record them, because I was caring for our children. This is an excerpt of Shanai Matteson‘s response. Please read the full essay here. What follows is a conflicting set of feelings which arose for me over the weekend at Hand-in-Glove 2015 and have remained since. There is a peculiar sensation associated with coming clean about one’s experience as a person of color. There is always a fear of being cast as the angry, cynical, or bitter person of color at the mostly white convening – a fear that tells you that you will not be heard and therefore prevents you from voicing criticism. I feel that fear now and it motivates me to preface the following statement in this way. What I am wrestling with here are the ways in which my experience of the conference seemed to reinforce essentialization by speaking of people and communities of color as though they are a formless mass just outside of reach, as though those of us in attendance who self-identify with those communities were nowhere to be seen. This is not to say that there weren’t panels and conversations that discussed such feelings and, in fact, this reflection directly emerges from a breakout group in which I voiced these concerns to other artist-organizers of color. While I am thankful for the thoughtfulness of the panel organizers and the opportunity to meet and share the weekend with other artist-organizers of color, I am also compelled to write this reflection in hopes of opening up the dialogue and process to foreground the experience of artist-organizers of color. What I understand the Hand in Glove conference to be is a convening of independent artist-run organizations and projects for the purpose of both building a national network of like-minded collaborators and to have the opportunity to share strategies and anecdotes from our own individual practices with each other. Having never attended the conference before this year, these were my expectations. What I found instead was largely a gathering of non-profit professionals wanting to emphasize not the alternative, but social responsibility and contextual responsiveness. In the process, most of the folks I met, along with with the co-host organization, Common Field, seemed to move away from specificity in pursuit of commonality and shared value systems – effectively working towards essentialism. As they would have it, ‘the artist’ is removed from any particular context becoming a free floating universal subject eschewing anyone particular politics for a kind of general politics of good intentions. The same was true for the subject of ‘community’, which was similarly flattened in such a way as to stand in for people of color generally. As formal and informal conversations turned towards strategies of engagement, concrete examples of projects or initiatives were replaced by generalizing narratives about the struggles of communities of color. This flattening process simultaneously worked to erase those artist-organizers of color in attendance, many of whom work from and within the so called ‘communities’ being discussed, effectively including us by way of our exclusion, while also reinforcing essentialization by stripping these communities of any agency in the process. Each utterance of these nameless publics worked to erase not only the histories and peoples under surveillance but also those of us in attendance who self-identify as being a part of such communities. This is an excerpt of Anthony Romero‘s response. Please read the full essay here. Emily Gastineau. Art Is Easy in 2014, 2013. Photo: Dwayne Williams Courtesy of the artist. Emily Gastineau makes a case for more capacious language around the value of artists’ labor and contribution, language that demonstrates how this work is simultaneously concrete and ephemeral, valuable even if not quantifiable, independent but not exempt from capitalism. The final panel of Hand-in-Glove, titled “Art Works?”, explored questions of whether, when, and how artists should be paid. The conversation crystallized some things I’ve been thinking through in my own work, about the simultaneous materiality and immateriality of artistic practice. At other times, in other sessions, I’d noted references to the dematerialization of art practice: for example, “I don’t make objects, so they’re not commodities.” In some ways that’s true — it’s certainly easier to sell an object. Indeed, in the “Art Works?” panel, Lisa Dent asserted that Creative Capital tells visual artists that, without a sales record, their work has no value. Thinking in art historical terms, it’s understandable to tie resistance to the art market to the development of less tangible modes of practice. However, I’d caution against an easy link between dematerialization of artistic practice and anti-commodification. Coming as I do from a performance background, where essentially all the artistic products are time-based, site-specific, and ephemeral, the economic factors that shape even immaterial artwork are readily apparent to me. For social and performance-based work, donations of time, energy, affective labor, physical effort, social connection provide the capital from which the work is formed; those resources are spent up front and throughout a work’s creation. In the experience economy, all manner of intangible materials are commodified. And even if artists are not always directly profiting from people viewing their artwork, the techniques artists use to create such time-based experiences are certainly being repurposed in for-profit scenarios. 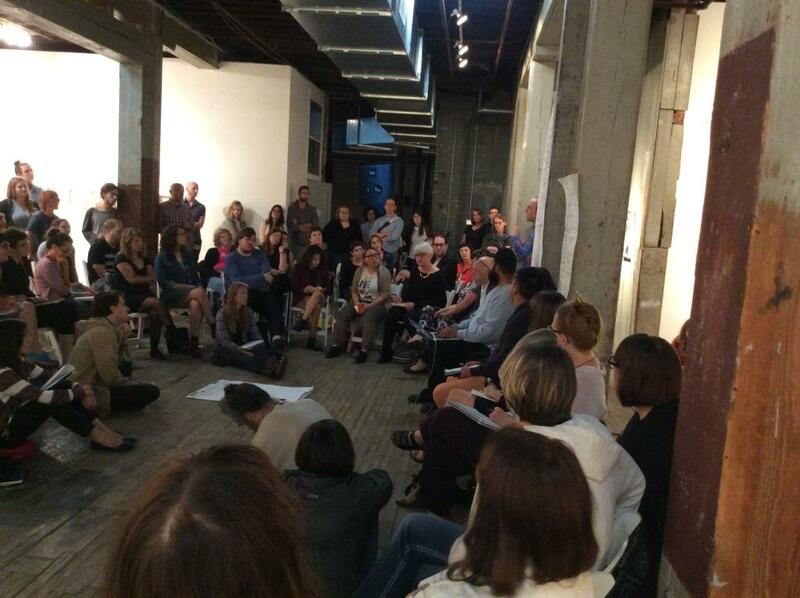 On Friday, September 18, 2015, a conversation on artist-organized platforms that embody “alternate modes of connection” took place at the Soap Factory in Minneapolis. 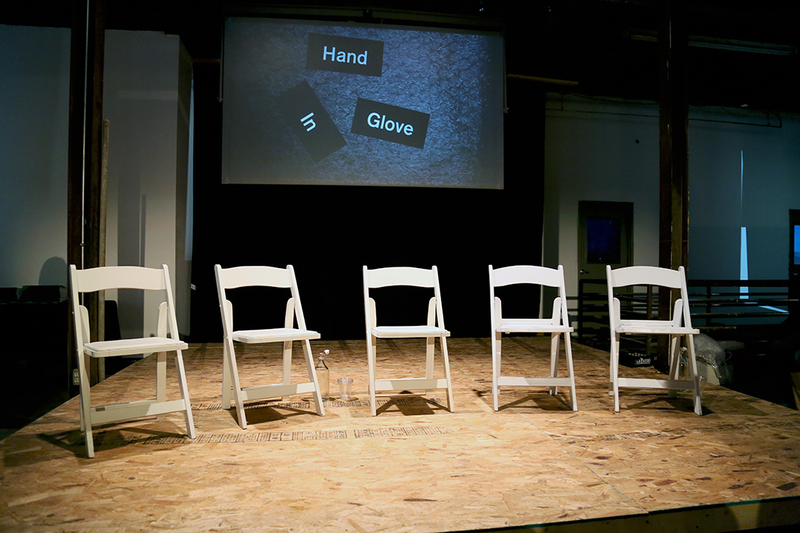 Facilitated by James McAnally of Temporary Art Review and titled “Creating Discourse, Connecting Communities,” the panel was part of Hand-In-Glove, a national convening of artists and arts advocates at the Soap Factory in Minneapolis. To help define the “common field” gathering at the 2015 Hand-In-Glove conference in Minneapolis, Alison Gerber defined an artist as one whose practice involves “the exhibition of artworks in public.” But, as Mn Artists Editor Susannah Schouweiler pointed out during “Creating Discourse, Connecting Communities,” it is the relationships among artists and between artists and public that instill artists’ works with meaning. Platforms that build these relationships through constructive discourse, criticism, and in-person interaction may be the most essential tools artists need to thrive. This is an excerpt of Erik Moe‘s response. Please read the full essay here. Sarrita Hunn. 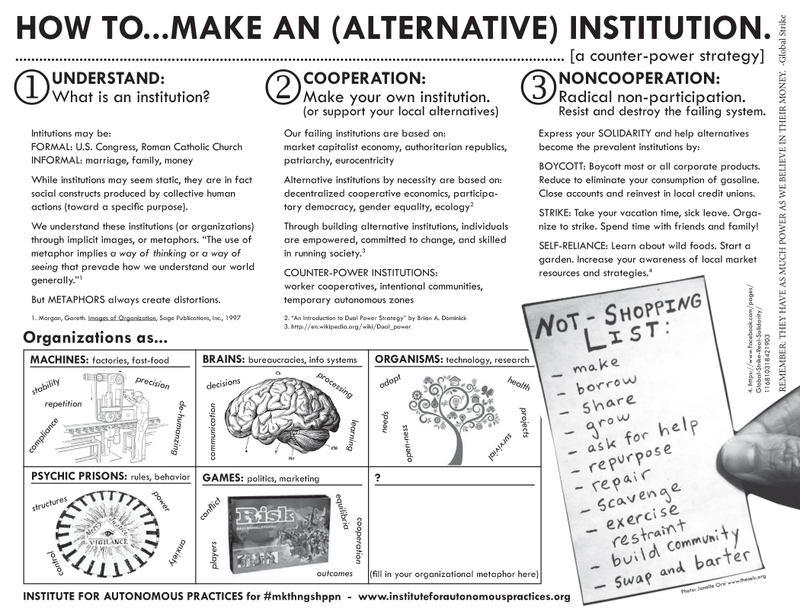 How to…Make an (Alternative) Institution, 2014. Created for Make Things (Happen), organized by Christine Wong Yap for “Social in Practice: The Art of Collaboration.” Curated by Deb Willis and Hank Willis Thomas. In order to define the ‘field’ that has been discussed throughout the recent Hand-in-Glove conference and launch of the national network Common Field, one must first recognize that there is no one artworld. That is of course true in infinite forms at the micro level, but one can also see this in a more general way at the macro level. I propose that for the last half century we have been operating across two distinct spheres, the commercial and academic art worlds, and are experiencing the distinct emergence of a third sphere – one that Common Field attempts to bracket. The market world of art production has of course existed for centuries in different forms, but the rise of an academic arena for art practice as a relatively new ‘field’ has a particular history over the last century. One could possibly trace this from the Bauhaus to Black Mountain College, through the rise of critical art writing by artists in the 70s and 80s, and finally to the overwhelming predominance of the MFA in the last decades. Anyone who has worked in academia knows that success in that field is defined along slightly different terms than those of the market and vice versa. They are interrelated, of course, but it is easy today to forget the relatively newfound freedom allowed to artist-faculty to explore outside of commercial concerns through their support as academics. Think, for example, of the Los Angeles legacy of artist-professors such as Judy Chicago and John Baldessari. However, as academia has financialized, these once somewhat separate fields are also losing their distinction. It is clear now the ways in which the academic realm has been co-opted by the market, and artists working in general have been required to embrace an increasing level of professionalization. To put it another way, it use to be said on the east coast you’ve ‘made it’ as an artists with you quit your teaching job and on the west coast you’ve ‘made it’ when got one. In a world of an increasing number of self-identified artists who are neither ‘making it’ or getting (full-time) teaching jobs, these distinctions seem less relevant. But a third way emerged. It is notable that this third field first defined itself in the negation of the other two – the ‘alternative’ gallery and the ‘alternative’ school. But this definition by negation has yet to be enough to carve out an entirely new ‘field’ on its own. This is not entirely new (we are arguably in a third wave with the first in the early 70’s and the second in the 90s), but the last three Hand-in-Glove conferences (and the creation of Common Field) has, if anything, been the most pointed effort of late. This is an excerpt of Sarrita Hunn‘s response. Please read the full essay here. Curator Mary Coyne weighs in on disparities in the art world, between alternative and institutional art spaces, patrons, funders, and artists, and wonders: How can we work to mend these divisions and work together to make a truly common field? In the opening panel for last month’s Hand in Glove gathering, Sam Gould, founder of Red76 clarified, “art and culture illustrate divides — this is not something to avoid.” It was a powerful statement, and important in retrospect, since even as much of the conference’s script was dedicated to building community and finding collaboration, its participants never all agreed on what it would mean to do so, how to enact these goals, and to what ends. On the other hand, as actors in the sphere of alternative arts — artists, curators, cultural workers, or however we choose to define ourselves and our practices — we found it easy to agree that developing, or even sustaining, ourselves and our practices under the current conditions is too often a near insurmountable challenge. There was consensus that finding work which pays a living wage, securing and maintaining housing, studio or creative space (not to mention necessities like health and childcare) are struggles we share, to some extent or another. And a feeling of solidarity against these forces smoothed over many of the other differences discernible in the specifics of our responses to those challenges. 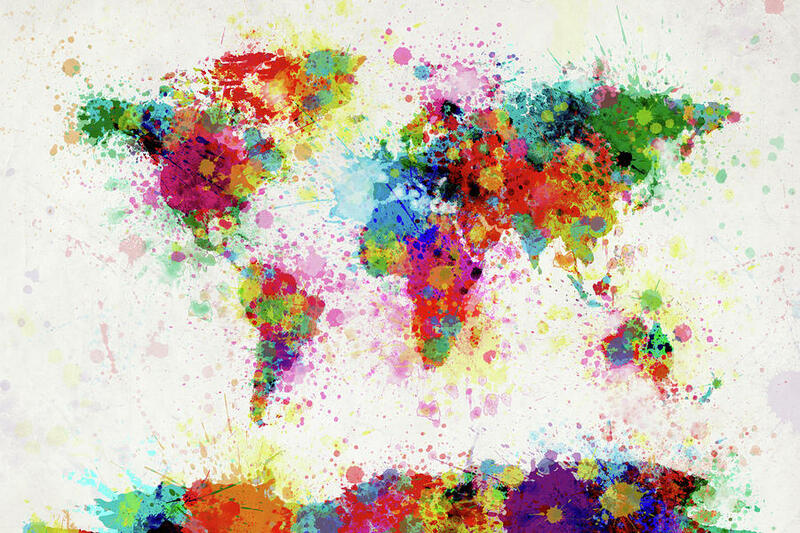 Of course, the world of art and culture extends beyond the community represented by those who attend conferences like Hand in Glove. The polar extremes of this larger arts community were evident in my Instagram and Twitter feeds, which abounded with pithy quotes from my fellow Hand-In-Glove attendees juxtaposed with giddy snapshots of light-filled galleries and invaluable examples of canonized American art from the opening weekend of the Broad Museum in Los Angeles. Representing the opposite poles of what we loosely call the “art world” were the artists and organizations gathered in Minneapolis and Edythe and Eli Broad, billionaire real estate developers turned philanthropists. Or prey and predator, in abridged terms. This is an excerpt of Mary Coyne‘s response. Please read the full essay here. 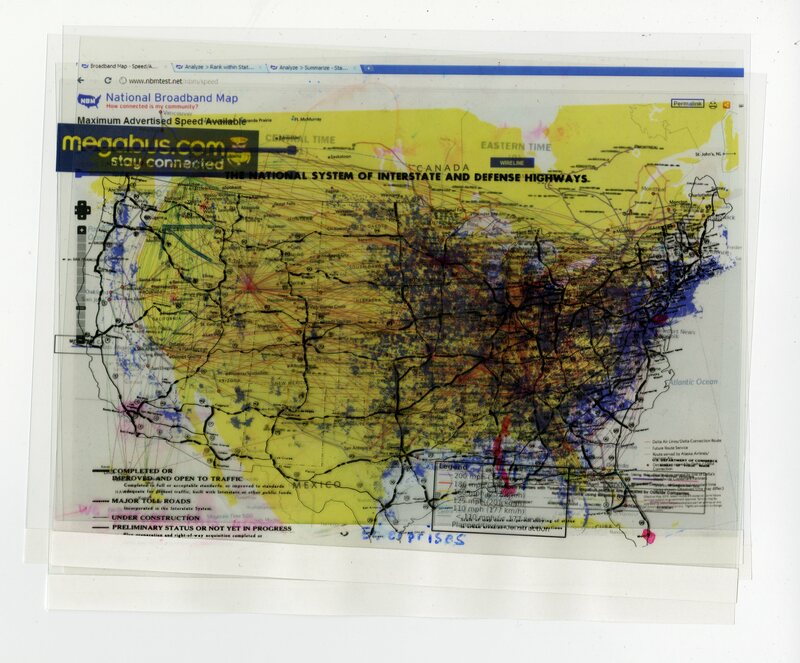 Artist Andy Sturdevant and Abigail Statinsky, editor of Phonebook (a national directory of artist run spaces), created this image during a live-mapping project at the closing party for Hand in Glove to visualize connections between Phonebook contributors and audience members. If the contemporary art world is at sea, adrift on the waves of market forces, then the emerging Common Field aims to moor elsewhere and build a raft that could stay afloat apart from all that — small at first, but with the potential to generate independent power to fuel another, more inclusive and equitable type of art world. Art is transformation. Art began with transforming a cave wall into an imagined world of people and animals. And art continues to transform materials into new objects, new images that can in turn engender transformation in their viewers. The recent Minneapolis Hand in Glove convening of artists and arts organizers is testament to another type of artistic transformation that is upon us: artists transforming society using an arsenal of tools not found in the photo lab or the painter’s easel (though maybe a sketchbook could come in handy). I may be preaching to the converted here, but it’s worth saying plainly: without transformation or true change within an object’s or action’s meaning, there is no art. The type of transformation I heard discussed at last month’s Hand in Glove gathering involves nothing less than wholesale change of prevailing power structures that unevenly distribute wealth, health, education, access to housing and resources; artists are challenging those systems which push them out of meaningful membership inside the institutional edifices which control the economy, government, and education. The conversations I had with others at the convening, every panel I attended or watched online, continually circled around these issues of influence and power. This is an excerpt of Sheila Dickinson’s response. Please read the full essay here. Opening debate at Hand-in-Glove 2015. Photo courtesy of Brea Photography. This is an excerpt of Anne Focke’s response. Please read the full essay here. 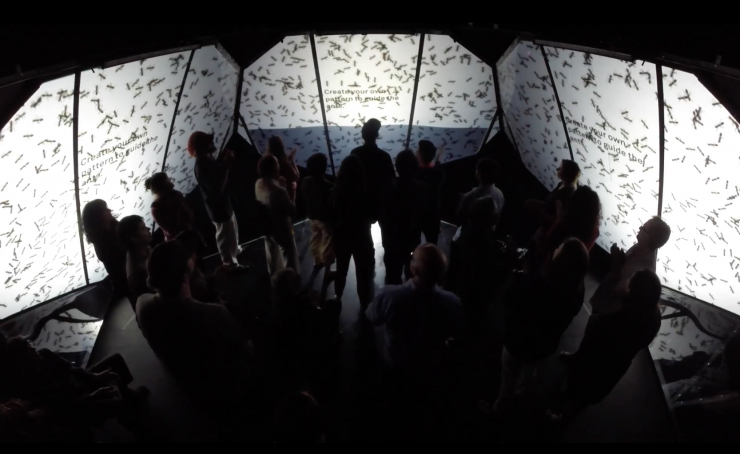 Images from Complex Movements’ project, Beware of the Dandelions, installation view inside the pods installed at On The Boards in Seattle, Washington, May 2015. Photo courtesy of Complex Movements. 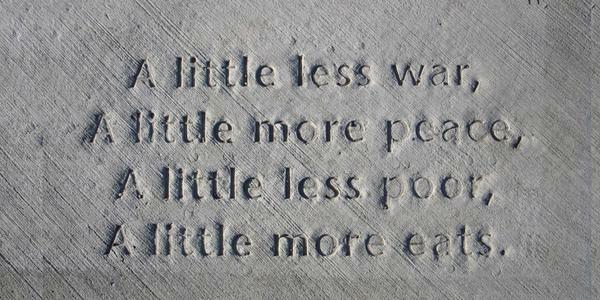 Can We Envision Communities Beyond Place, Beyond Ownership? Concentrated pockets of power functioning multilaterally and multinationally are required to uphold the dizzying capitalist melee in which we now find ourselves. Likewise, as artists, the impact of our work could be dramatically scaled up by harnessing the benefits of multi-local power. As a black Minneapolitan, an immigrant living in the U.S., and a self-defined queer artist, I have learned not to find myself in places, but in carving out a response to them. When the majority of spaces you find yourself in do not look, speak, or feel like you, your thoughts and actions live not in tandem, but always in contrast to. I am ever seeking the bridges that might connect me to the larger organism. Even when I find some part of my identity reinforced within the dominant group — a cohort of queer artists of color, say, or black women writers — I am still surprised to discover our evident uncommonalities. So, when conference organizers of Hand In Glove 2015 (HIG), hosted this fall at the Soap Factory in Minneapolis, posited as their central question — “What, if anything, do we hold in common?” — the promise of something revelatory stirred in me. At that gathering, my own years-long quest was thrust suddenly upon a larger canvas in rooms filled with artists, organizers, and art administrators: What ties us as people? As artists? And how do we define these commonalities and the communities they create? As Shawn(ta) Smith Cruz took the mic in HIG’s panel discussion on “Place, Race, Geography and Power,” introducing herself as a black lesbian, I was sure it would be she who could speak to my experiences: the difficulties in establishing oneself as a black LGBTQ artist pendulating between a black community that remains uncomfortable with homosexuality and a white one that, while well meaning, often tokenizes our work. 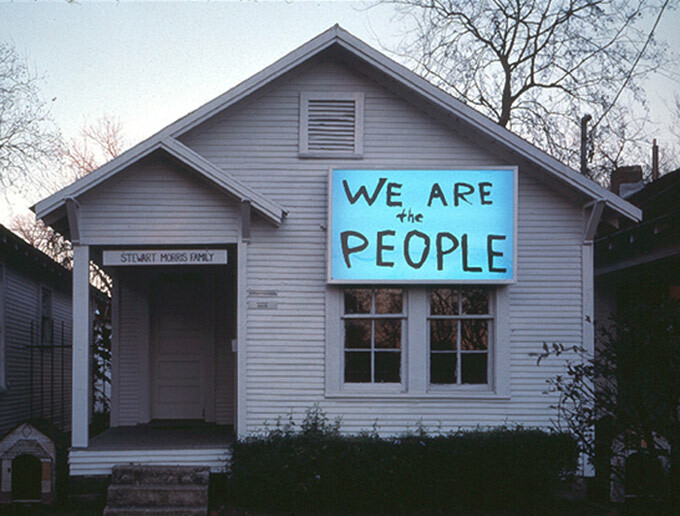 But instead it was Dylan Miner, with his tweet-worthy proclamation that “ownership is violence,” whose art-as-activism approach felt most resonant to me. As a Kenyan daughter, two generations removed from a colonial system whose declaration of ownership as the only means of value had violently disrupted my identity, Miner’s statement hit home. Miner’s expressed sentiments also exposed a very real rift amongst the gathered artists, activists, and purveyors of the alternative, specifically in how to the slow the tide of gentrification, a thing we could all at least agree on as a perceptible threat. If there was a central thread running through the HIG convening, it was a call to action urging artists to more fully assume their roles in preserving the communities where they find themselves working, whether as outsiders or as insiders. 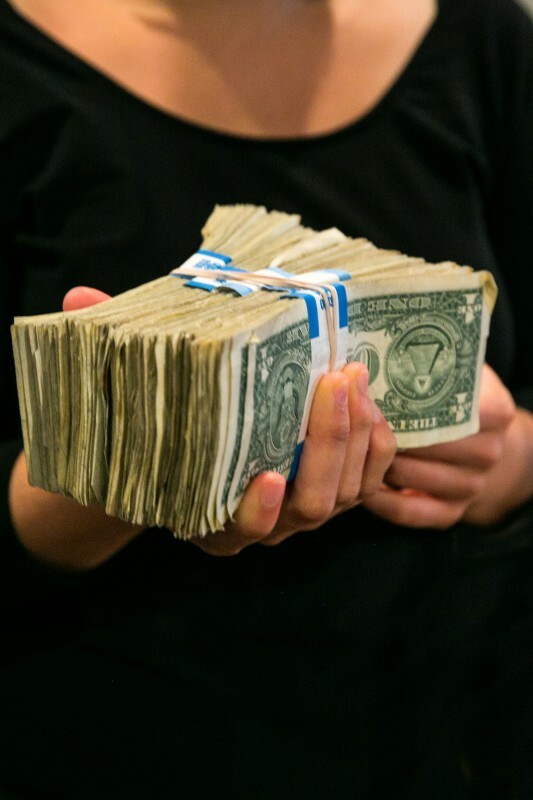 If an artist, as Mn Artists’ editor Susannah Schouweiler noted in an earlier panel session, is someone “making art for the public,” how does an artist create art for a local public while maintaining the integrity of the communities they claim to speak from? What are the boundaries, real and imagined, delineating these communities? And how can we sustain them when there is, as Chaun Webster (co-founder of the now defunct, sole bookstore in North Minneapolis, Ancestry Books) put it, a “desirability of land but undesirability of bodies”? Some answers to these nagging questions crystallized when I hopped into a car, days later, and headed out East. I stopped in Chicago, Philadelphia, and eventually Brooklyn, where the very real structures of gentrification were plain to see, again and again, laying the scale of the issues of ownership and civic agency at my feet. It may be true, as some of the featured speakers at HIG argued, that the only real solution to the problem of gentrification is ownership: ownership that keeps communities intact and in place, preserving the unique cultural identity and history rooted there with them. Yet it is also true that the desirability of land far outpaces the ability of “undesirable bodies” who’d like to establish themselves there to achieve the financial means necessary to do so. We live in an age of ever-expanding megacities and, with more of us than ever now living in cityscapes, the threat to long-rooted, local communities is a gargantuan one. The barriers to achieving financial stability that might allow for home and business ownership by their residents are likewise colossal — particularly given the fact that many of the communities most at risk of displacement have been historically economically disenfranchised. Consequently, even if we do not agree that ownership is the violent perpetuation of a colonial mindset, we should acknowledge that the communities and people who would benefit most from private ownership are largely unable to tangibly realize it. Given that, we must rethink and broaden our current strategies, as residents and artists, for “preserving” local communities. Gentrification, I’d argue, is simply unavoidable. 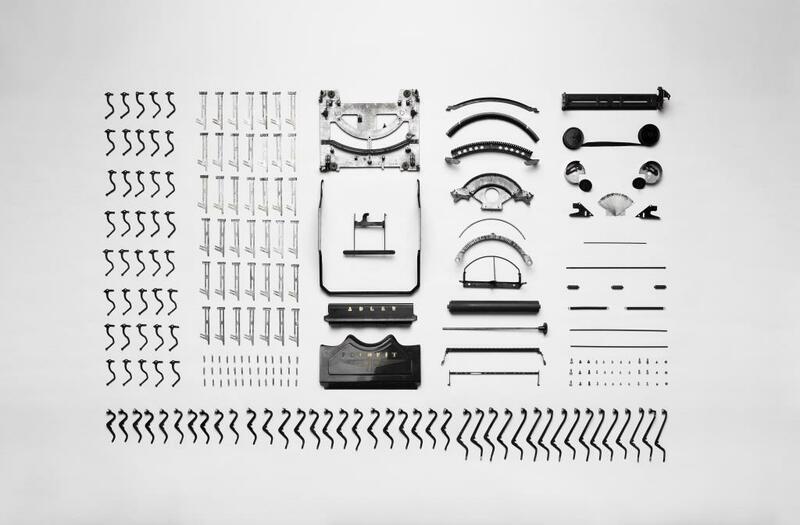 It is merely the realization of “the essential fact about capitalism” (Joseph Schumpeter) that is “creative destruction,” a ceaseless process of producing new things to replace the old that keeps the capitalist machinery moving. That push for novelty inevitably comes at the expense of consumers and producers of what has come before, i.e. the very local communities and histories we aim to preserve. This is an excerpt of Kari Mugo’s response. Please read the full essay here.